Qamishli (Syria) (AFP) - A US-backed Kurdish-led alliance said on Saturday that it is seeking a roadmap for a decentralised Syria in talks with the government which opened in Damascus this week. 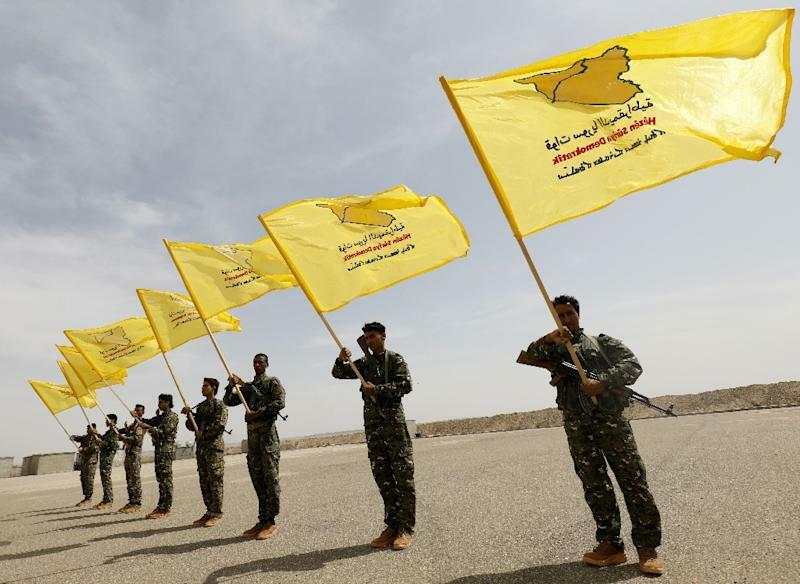 The SDF's political arm, the Syrian Democratic Council, said the aim was to "clear the way for a broader and more comprehensive dialogue" and forge a "roadmap leading to a democratic and decentralised Syria". "It is still very early to talk of an agreement but we are working on it," he said. "The negotiations will be long and arduous because the Damascus regime is very centralised." The Damascus government has opposed the scope of the self-rule sought by the Kurds but late last year Foreign Minister Walid Muallem said a "form of autonomy" was "negotiable". Between them, Assad's Russian-backed government and the US-backed SDF control around 90 percent of Syrian territory following major defeats for the rebels as well as the Islamic State group over the past two years.